As we head into a new school year and requests for school visits start to roll in, I’ve been reflecting on the incredible curiosity and generosity of those in the Australian education system and library services. These communities of people foster in others their love of books, writing and illustration, and the creative process behind it, at the same time helping many a writer maintain faith in their work and enabling them to stay afloat. They are librarians, English teachers, literacy specialists, innovative educators, festival directors, managers of community centres, and those running small organisations supporting people to explore their creative selves. And of course if you are supported to explore your creative self then really you’re being given permission – or an opportunity – to explore your whole self in all its patchworky glory. A team of librarians, writers, editors and festival directors. 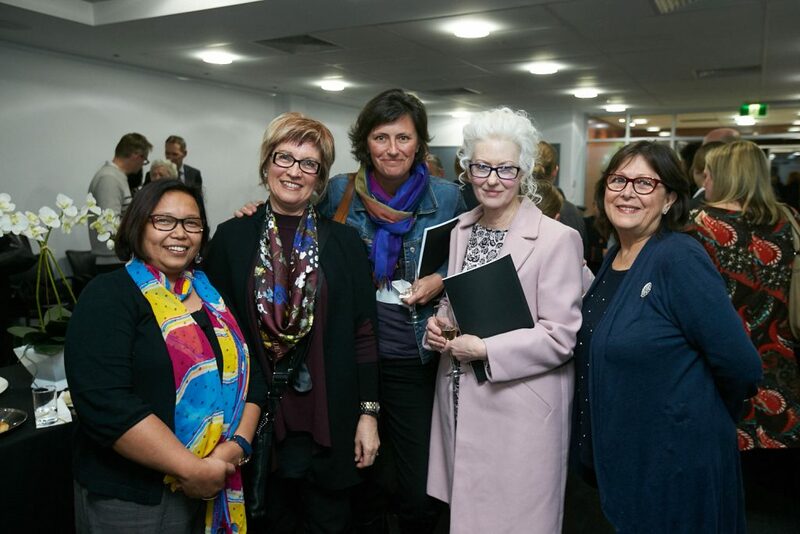 Left to right: Aniek Ragan, Claire Duxbury, me, Amanda Curtin and Kris Williams on the night of the 2018 South Perth Young Writers Award ceremony. See you out there in 2019!